WHOLE NEW REASON TO SMILE! Lots of people are missing all their teeth, in either one or both arches and conventional dentures are often an unsatisfactory solution. 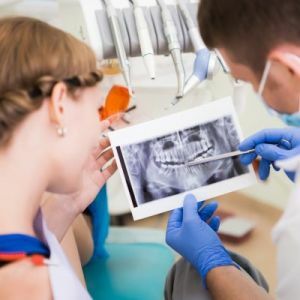 These rest on the gums and although they may initially fit quite well, will eventually become loose and ill-fitting as the gums and jawbone gradually changes shape. 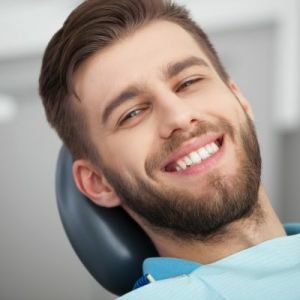 This is inevitable because after your natural teeth are removed or tooth extraction, the bony ridge that used to support them will gradually resorb as it no longer receives the stimulation provided by your tooth roots. At the same time, the ridge of bone that used to hold your natural teeth will become flatter and narrower, making it much more difficult to comfortably wear dentures while providing less support for your facial muscles. This can create that collapsed-in look that affects so many people with full or partial dentures. Ill-fitting dentures can be uncomfortable to wear and may prevent you from eating the foods you love. Worries about your dentures moving about could deter you from confidently socializing with others. With implant retained dentures, your choice of foods will increase so mealtimes become pleasurable and you can confidently say ‘yes’ to every social invitation you receive, knowing your implant retained teeth will not move. 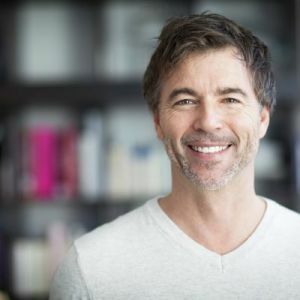 Your appearance could be rejuvenated because your denture will provide the correct support for your cheeks and lips, restoring your facial dimensions. People who currently have worn and old dentures will often notice a significant improvement in their appearance. Instead of resting on your gums, implant retained dentures will clip or snap onto dental implants, remaining securely in place until they are removed for cleaning. 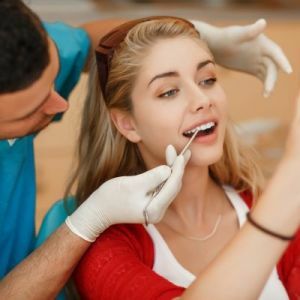 You will love having teeth that feel strong and stable and this treatment is a very cost-effective way to restore your ability to eat and talk comfortably and confidently. Often, we will only need to use two or four dental implants to hold a lower denture in place. Lower dentures tend to be the most problematic because they rely solely on that bony ridge for support and retention. Replacing an upper denture with implant retained dentures will probably need more dental implants for support but there will be a nice side-effect. An implant-retained upper denture is constructed in a horseshoe shape, just like a lower denture so it will feel less bulky and your upper palate will be uncovered. As well as being more comfortable to wear, uncovering your upper palate will reveal more taste buds, allowing you to taste food more easily. Not only will you be able to enjoy more foods, but meals should become a whole lot tastier. Who Can Have Implant Retained Dentures? Most people can have dental implants and this treatment is particularly suitable for people who lost teeth a long time ago because it maximizes the use available bone in the jaw so you are less likely to need bone grafts. It doesn’t matter if you are a bit older, so long as you have reasonable dental and general health. 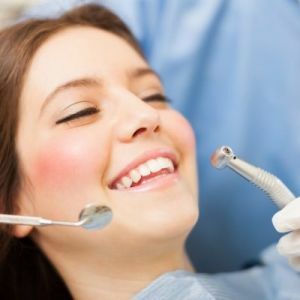 When you come to see us at Definition Dental for low cost dental implants, we will thoroughly assess your general and dental health to make sure this is the best dentures treatment for you. Interested? Call us today and you could soon be enjoying all the benefits of implant supported teeth.